Ideal for all applications for Sky, Freeview, Freesat, Virgin media and any other digital satellite systems. 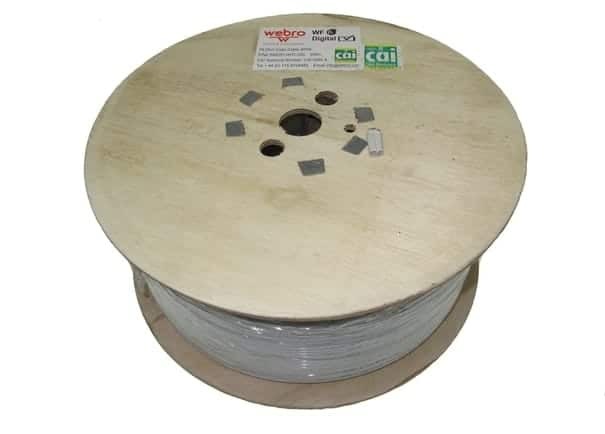 This high-grade cable gives superior results for longer cable runs or where signals are marginal, communal systems, or just where you want to install the best equipment for the job. Coaxial cables are suitable for many applications, including low power video, video signal, and broadband signals. They are also used in high-frequency transmission, especially for transmitters and receivers, computers, radio and TV transmissions. Learn More about CT100 cable installations.